ISBN 0634049062. 9x12 inches. Wolf Marshall Guitar Signature Licks Book/Online Audio Pack. Learn the trademark riffs and solos of this blues King! Provides in-depth analysis of 12 songs, including Angel of Mercy, Born Under a Bad Sign, Laundromat Blues and more. CD features full demonstrations. in the text for a given song - the tablature for an entire song is not provided. 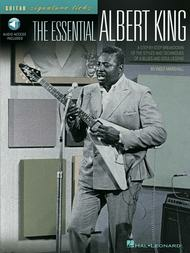 If you want to work through the tablature of an entire Albert King song (any of them), this is NOT the book for you. Other AK treatments are more complete in this regard. 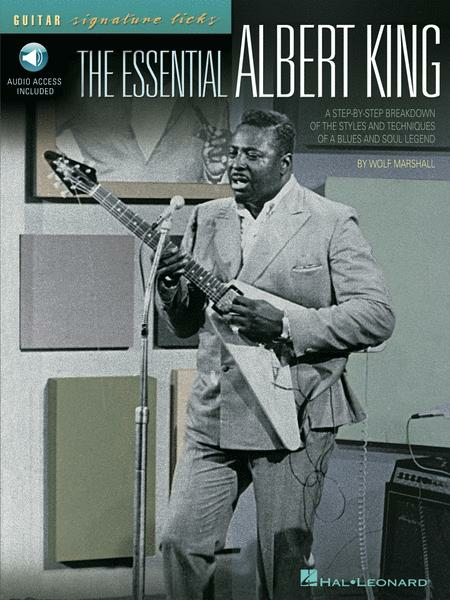 However, if you are mostly interested in picking up some awesome licks from Albert's work to integrate into your playing and to amaze your friends with your understanding of this artist's unique background and approach to the guitar, this book will work just fine. BTW, don't forget to pump some iron first! This cat could bend a string to Toledo and back, baby! Yeoww!